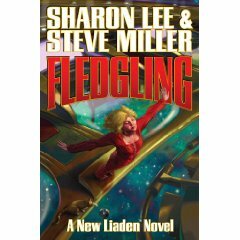 I’m so glad to read this newest offering about the Liaden Universe fro Lee and Miller. They have become some of my favorite Sci-fi authors. 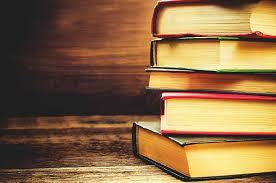 I have loved and enjoyed each of their books I have read so far! I am glad to report that each of their books in the series is being republished and DPL is in the process of acquiring them all. Even if you aren’t a Sci-fi fan, I think anyone who likes adventures with a great romance tossed in would enjoy these books. Theo Waitley, the main character in Fledgling, was introduced at the very end of a previous book, I Dare. I was left quite interested in finding out more about her story. Actually, each of the books left me felling like that. I didn’t want them to end! Theo is coming of age in a culture with stringent rules and not much room for awkwardness. Theo is on the verge of being coerced to conform to the standard. Meanwhile, her mother, who is a professor for the planet’s galaxy-renowned university, discovers that someone has been tampering with the school’s library. To save Theo and the university’s reputation, the two travel off-world. This was such a fun story! I am eagerly anticipating the next book, Salutations.